Romantic Spanish Revival Estate in Prime Lower Bel-Air located one block away from the famed Hotel Bel-Air. Romantic & Enchanting park like grounds on over 1.2 acres. 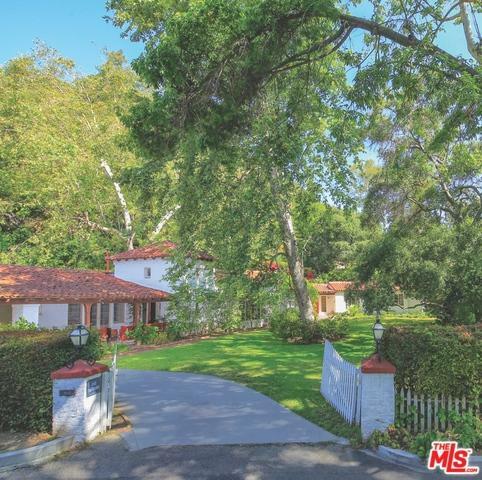 Former celebrity owned estate by legendary Actress Lupita Tovar and Hollywood Agent /Producer Paul Kohner. If the Walls Could Talk This property was host to a multitude of Hollywood events with the likes of Greta Garbo, Buster Keaton, Gene Autry, Gary Cooper, Ingmar Bergman, Charles Bronson, John Huston and so many more. Charming yet elegant Spanish Estate sits upon the most prime real estate lower Bel-Air has to offer. Majority flat lot zoned for both a main house and guest house with room for tennis court or anything one could dream. Privacy, security and seclusion abound! Owner-user restoration/remodel project or investor-developer with enormous upside potential - this property is ready for it's next legendary ownership. Listing provided courtesy of Joyce Rey of Coldwell Banker Residential Brokerage.